There are all kinds of things to be excited about in the upcoming November release! Let's dig right in and get started with some of the sneak peeks, shall we? Lizzie Jones is continuing the momentum from her Christmas Cuts collection with a fun new celebratory version! The detail and amazing design elements she integrated into the tag dies is really something special. Pair those with the fabulous coordinating sentiment stamps, and you have a perfect match. Whether it be for birthdays or other occasions worth celebrating, this will be a collection you can get lots of mileage from. Maile Belles is also continuing her Splits series with a fun birthday version. Loving the geometric look and can just imagine all of the different techniques you can use for pops of color, dimension and texture. Wait until you see what the team creates with this one! Betsy Veldman's What the Doodle series is also continuing with this versatile cake slice image. All those frosted details make you want to reach for your watercolors, don't they! There's even a few different additions included to top off the cake. And want to know a secret? The saucer included will also coordinate with the previously released tea cup! It’s the most wonderful time of the month! Tea and cake…what could be better?! Love the tags and more doodles. I hope you release a “backer” piece for the tags. I have the Christmas release and will get those too. YES! Let’s Eat Cake And Celebrate! YUM!!! Love the tags & can’t wait to see samples! I am so excited about that cake & saucer!!! “Lets eat cake and celebrate” SO CUTE! 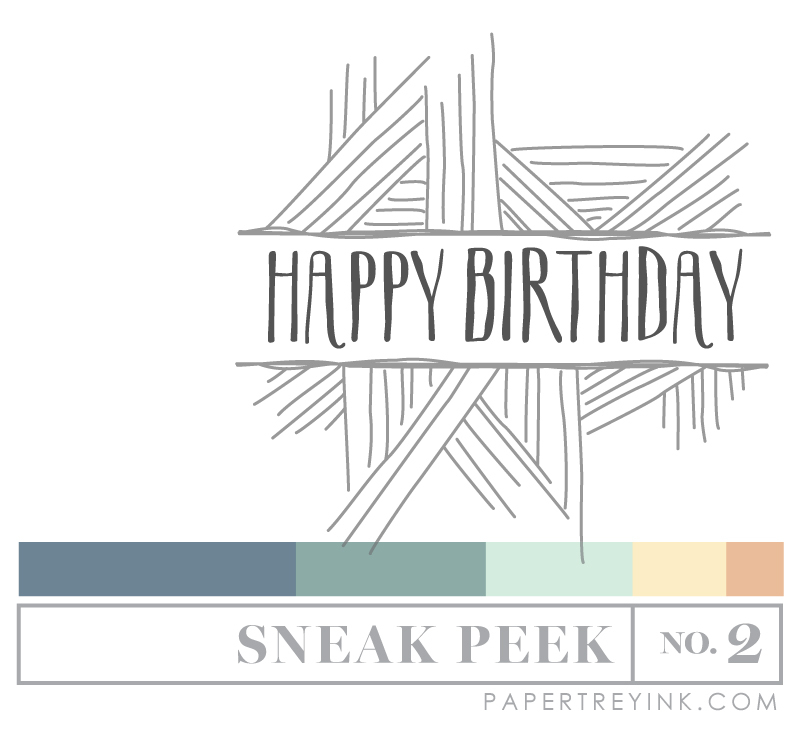 Can’t believe it’s time once again for the Peeks, of course that makes me happy. Love Maile’s new geometric split, so cool, the birthday baubles are sweet as is the slice of cake. Love, love, love that cake slice!! You’re right, Nicole! The first thing I thought of was how much fun it would be to colour! And I can’t wait to see what the Design Team does with Lizzie’s new set! So clever to give it a birthday twist! Love the doodle birthday greeting! Loving the new products! 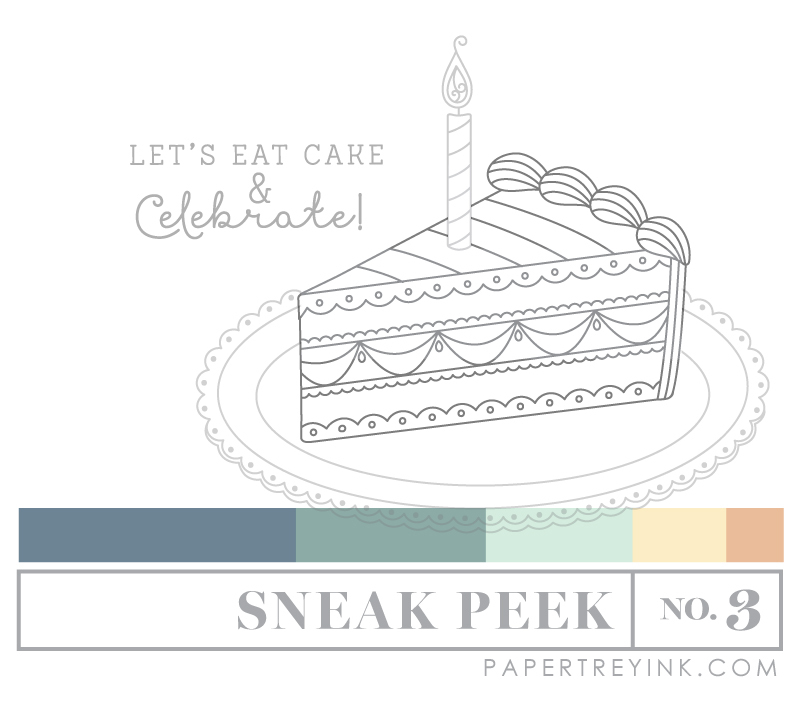 Already wish I’d gotten last month’s cuts & that slice of cake is gorgeous! 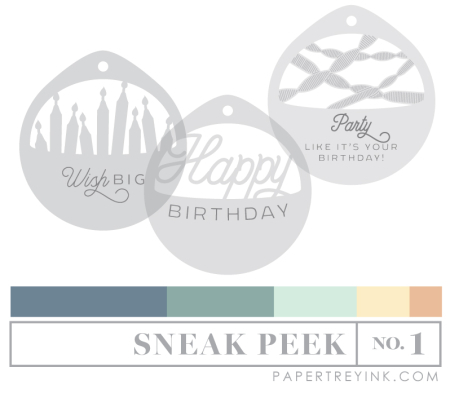 Can hardly wait to see what the talented Papertrey team does with these new stamps and dies! Love these! I’m looking forward to Betsy’s newest ‘Doodle’ set! ? I’m loving that Doodle cake. Love the new birthday cuts!! Can never have enough “Birthday” stamps and dies! I’m excited for the saucer that goes with my teacup! What a great idea! New Tags & that CAKE!!! Yum! Can’t wait to see the whole release! I want those tag dies!! !